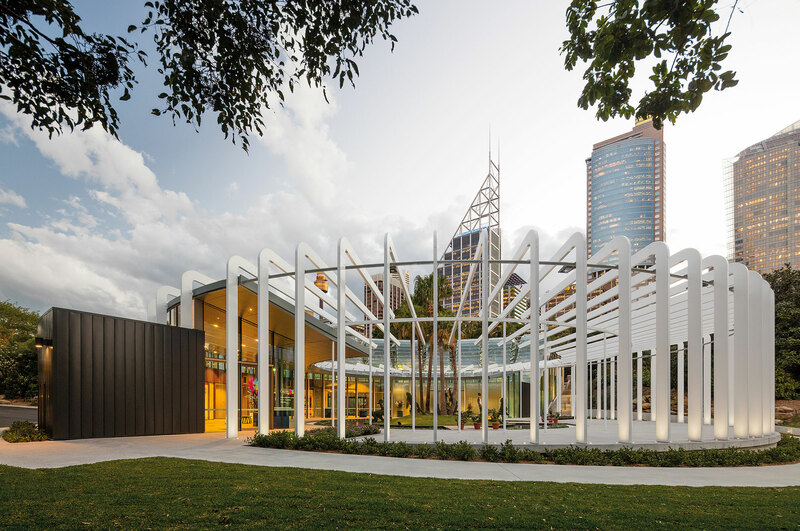 The Royal Botanic Garden Sydney now has a new world-class attraction, named the Calyx. 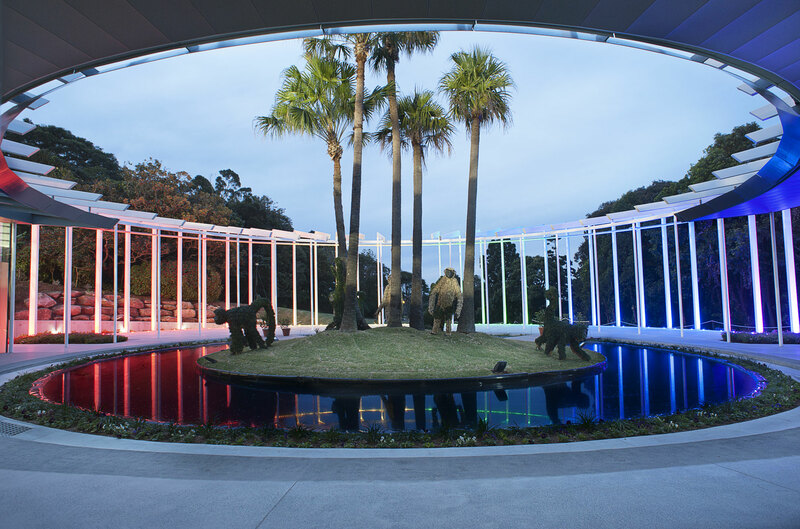 Which opened in June 2016 to mark the 200 year birthday of the Royal Botanic Gardens. 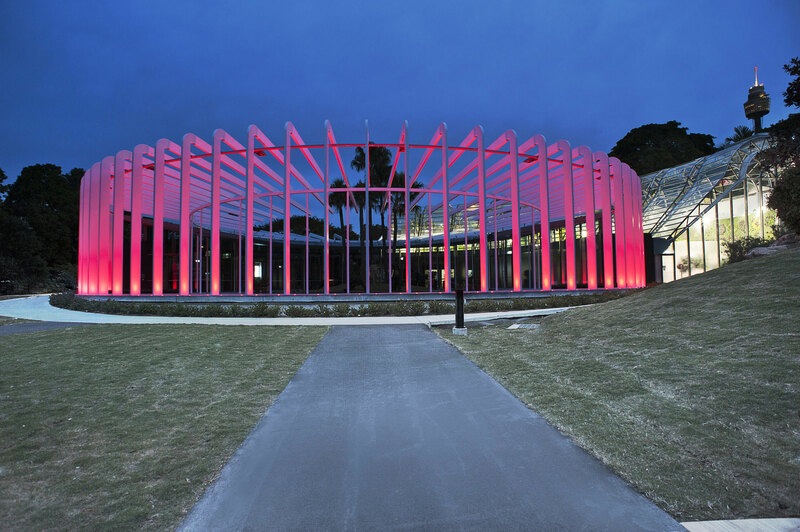 The venue was built around the site of the Arc Glasshouse, in the south western corner of the gardens. 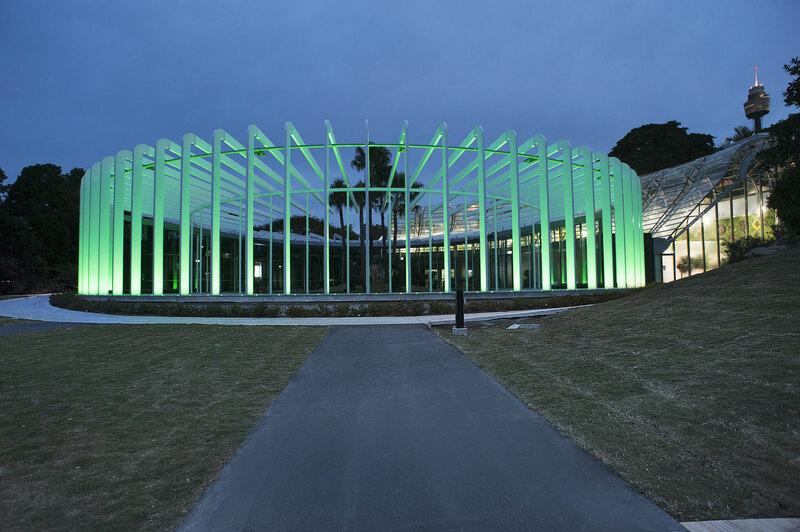 The Calyx which was designed by PTW is an integrated mix of indoor and outdoor areas, this facility has been designed as an extension of the arc. Allowing the display and multipurpose spaces to open up as one space or remain as individual spaces. Jadecross worked alongside JHA & Colbros the electrical contractor to provide a bespoke exterior lighting solution. The Megabay Osirion RGBW was chosen to accent the columns and meet the technical challenges of the site. 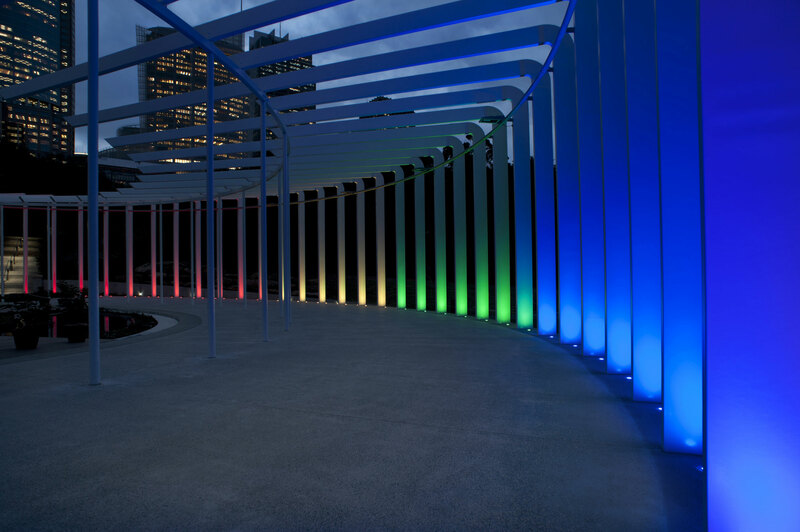 Seventy four recessed in-ground up-lights complete with remote individual DMX controls, some of which are up to 60 meters away from the fixtures bring colour to the space. Ligman Tango & Martini fixtures were used to compliment the exterior of the project using the latest in LED street optics. © 2017 Jadecross. All Rights Reserved.